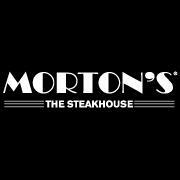 Morton's The Steakhouse Seattle is located in the heart of downtown Seattle, on 6th Avenue between Pike and Pine Streets. Walking distance from Pike Place Market, theaters, retail shops, the Benaroya Symphony Hall and the Washington State Convention and Trade Center. Nearby hotels include the Westin Seattle, Sheraton Seattle, The Grand Hyatt, the Fairmont Olympic Hotel, W Hotel and the Hilton Seattle. Richly appointed dark wood interiors make Morton's an elegant yet inviting atmosphere to relax in the bar with a martini or enjoy a meal in the dining room. Every detail, from the succulent steaks and seafood and vast wine selections to the seamless service, makes Morton's the best dining experience in Seattle.